This secret agent door hanger is awesome for a boy who likes to think he is the next 007! It will look fab on his bedroom door and is a really fun and colourful little present. The door hanger is double sided so is very thick and robust. 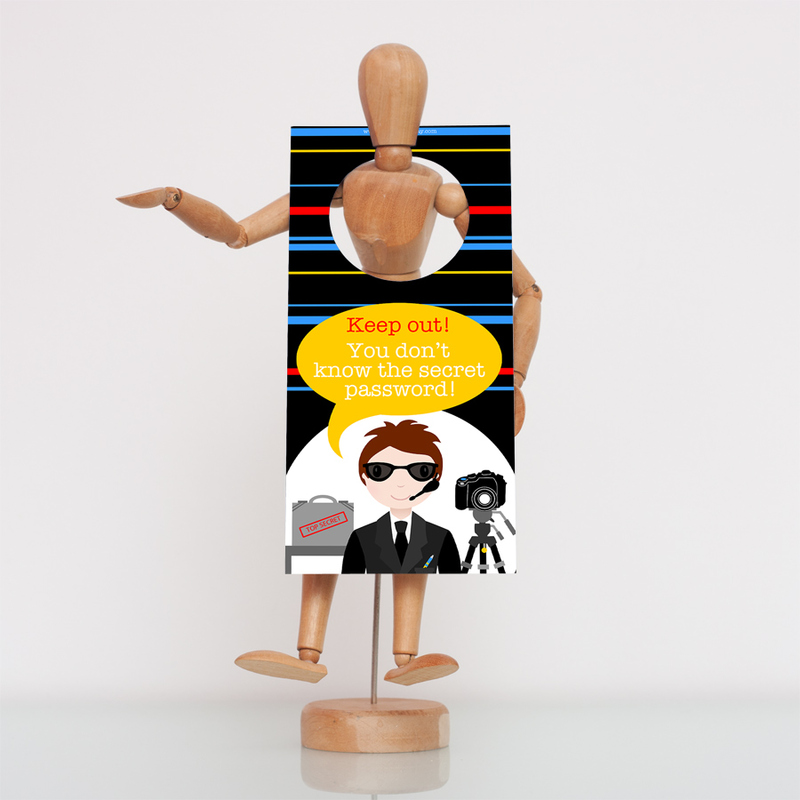 The design features a smart secret agent, with the text ‘Keep out! You don’t know the secret password!’ on one side and ‘Please enter! But I’ll be watching you!’ on the reverse side. These messages make the door hanger perfect for however the child is feeling. Be the first to review “Secret Agent – Double Sided Door Hanger” Click here to cancel reply.